There are a few great choices of accredited nursing administration degree programs in Arizona that meet the standards of the CCNE. Spanning the rugged deserts of the Southwest, Arizona is America's 14th most populous state with over 6.8 million residents. Phoenix, the state capital, is noted for being the country's 13th largest metropolitan area. With a $259 billion GSP, Arizona has a thriving, moderately diverse economy. Health services places as the third largest sector in the "Copper State" with around 392,000 employees. Banner Health and HonorHealth are among Arizona's top 10 largest employers. Phoenix's Mayo Clinic, the University Medical Center Tucson, Good Samaritan Medical Center, and St. Joseph's Hospital are nationally ranked too. To take advantage of these top-notch learning opportunities, select one of these master's in nursing administration programs in Arizona. Established in 1885 as the Territorial Normal School, Arizona State University has grown into the state's premier public flagship institution with "very high research activity" and more than 82,000 total students. Along with its main 631-acre urban campus in Tempe, ASU operates five extension centers across the Phoenix metropolitan area, including Downtown Phoenix. Named fifth in the nation by recruiters for The Wall Street Journal, ASU is ranked America's 129th best university, 62nd best public school, 107th top college for veterans, and 1st most innovative school by the U.S. News. Accredited by the CCNE, the College of Nursing and Health Innovation is also declared the 24th best graduate nursing school nationwide. Offered for registered nurses with baccalaureate preparation, the Nursing (Care Coordination) M.S. program at ASU's Downtown West campus gives the advanced training for mid- to upper-level administrative jobs in nursing. Students learn the essential skills for coordinating effective patient-centered care to improve health outcomes. Graduates will be prepared to lead interprofessional teams that design, deliver, and evaluate the quality of nursing care. The 35-credit curriculum includes two role-focused practicum experiences in Phoenix. There's also a culminating applied project related to effective care coordination. After the program, nurses will be eligible for certification as case managers through the American Nurses Credentialing Center (ANCC). 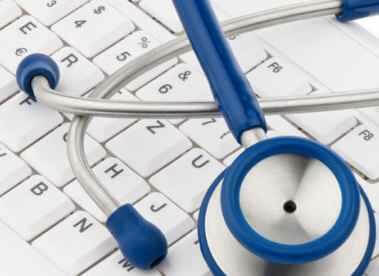 Students may also be interested in the online Master's in Healthcare Innovation (MHI). Serving more than 75,200 students worldwide, Grand Canyon University is an accredited private Christian higher learning institution offering on-site and online education from its main 100-acre urban campus headquarters in Phoenix, America's most populous state capital. Recognized in the top five online colleges for entrepreneurs in Fortune magazine, GCU has been designated a "Military Friendly" school through GI Jobs. As the country's first for-profit Christian college, GCU offers over 100 academic programs through its eight divisions. The College of Nursing and Health Professions has a 35-year tradition of producing highly qualified professionals for evidence-based practice that promotes holistic well-being. Consisting of 36 credits, the Master of Science in Nursing with an Emphasis in Leadership in Health Care Systems program at GCU gives RNs the advanced preparation for assuming management roles in today's rapidly evolving medical industry. Fully accredited by the CCNE, the curriculum includes courses in health policy, finance, research analysis, leadership theory, organizational development, and servant leadership. The program concludes with applied leadership practicum and an evidence-based practice project. Nurses can complete the degree either online in convenient eight-week sessions or on-campus in Phoenix during evening hours. Graduates will be equipped with the knowledge, skills, and values for ethical nursing leadership. There's also a Bridge option for RNs with a bachelor's degree outside of nursing. There's never been a better time for becoming a nurse administrator. According to the Bureau of Labor Statistics, the demand for nursing and healthcare managers is poised to grow by 17 percent through 2024, thus creating around 56,300 new jobs. Even though some positions may be available with a bachelor's, nurses with a master's degree enjoy the best job outlook. Obtaining an MSN gives you the advanced practice nursing knowledge for clinical leadership and supervisory responsibilities. If you're looking to study in the "Grand Canyon State," check out these accredited nursing administration degree programs in Arizona.